It’s a good thing if he sits out a few games. He’ll get to see the game from a different lense. Even if he could play, it’s a good decision. Connor McGovern was their center of the future and now he is taking over at Center. If Paradis could return if it didn't work out the way Broncos envisioned at OL. Bell is out of picture for two reasons. he is a featured RB that doesn't want to share with other RB as Jets continue using RB committee approach. Second one is he is too darn expensive to be RB committee if he accepts. We could add Bell if Jets decides to invest heavily in a showboating RB. For now, I don't see that way. Time will tell. Good call. So Paradis could be an option especially if Mcgovern plays well down the stretch. why didn’t we hear about it monday or tuesday if it happened on sunday? just saying. it just seems odd. if he’s hurt, it’s slight and it’s their out because he’s been playing pretty darn bad. he moved around fine all game. of course he’s in a walking boot...gotta sell the injury. i’m sorry i don’t buy it. agree to disagree. jets don’t do anything conventional let’s be honest. i may very well be wrong obviously but this still seems very off. reports said he was already out but Bowles said not yet. umm. Per ESPN, video indicated that Bell was in the fitness center. I was wondering if what if he got hurt exercising and hid it until he signed the tender. lol. Will there any physical exam be required upon the signing? Most coaches hold injury reports until they need to to throw of opposing game plans. It's upsetting Sam is out for this game, because Bowles can use this to scapegoat any loss. This break is great for darnold, honestly. He needs to step back and get his mind back on track. Then go at it again. Josh was good for us last year. I'm willing to bet Darnold returns looking better as a decision maker than he has been recent. Cursing the ******* OL. Darnold won't play against Bills due to foot sprain. I am not questioning you, but I don't believe for 1 minute that Darnold, is hurt that bad that he can't play against the Bills. I can't see why anybody would want to watch the Bills __ JET GAME. Last Sunday Darnold, looked like a deer in the headlights. If we took Rosen Like I wanted or even Mayfield they would be in the same boat as Darnold. 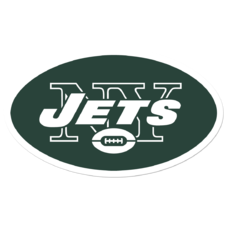 If we don't get rid of the entire coaching staff & Macc, nothing is going to change for Darnold, & the Jets. After looking at your list of FA's for the upcoming FA market for next year it look real bad. But thanks for the list of FA that was helpful. Now the Johnson's will have a 100 mil to buy that soccer team they always wanted. I don't think any of us buy into this walking boot BS, this is just a stupid way to bench Darnold, and save face. If they get Darnold, a real supporting cast, he won't need the walking boot. You are absolutely correct Rich, that is what the benching is all about. I don't believe that for 1 second. The truth is they are being careful with the future that's all. If this was week 17 with the playoffs on the line I would bet Sam would play. Since the season is over why risk a serious injury behind a regressing OL against a solid BUF defense. BUF may be bad but their defense can get after you. You think a win against BUF at home against their 3rd string QB is going to save his job? There are 2 outcomes for this year. I have a feeling wins and losses won't matter. I mean how can you blame Bowles for last week when his defense gave up 6 points and 1 FG was on a short field after a pick. Sam gift wrapped that win for MIA. With Josh that is an easy win last week but that not is what this year is about. My guess is Bowles will save his job if we play hard down the stretch and don't give up. If he loses the team he'll get canned. Gut says this entire regime is back for a playoff or bust season in 2019 which could lead to a house cleaning in 2020 if they don't make it. Darnold's foot needs to be healthy to run around due to OL woes otherwise he would get trucked. Once Bowles learned a nature of qb's injury he become nurse first coach second. Whatever or not we buy it. He is not a 5-8 year veteran. Try not to politicize it. McCown is on the one year contract so I don't see how will he save Bowles' sorry arse. Doing anything that helps Jets win is a bonus.